SO, you have your Schedule of Works, a Specification and a Contract and you are all ready to start your building project. The trouble is that you now have to choose a builder. That is a major decision you have to get right if your work is to be accomplished successfully. The question is: how do you find a builder who will do justice to your dreams? This is no small matter when you are in your own country but can be very difficult when you are in a foreign state, without a network of contacts and detailed local knowledge. Well, clearly one useful way is to find one by recommendation, preferably from a professional, such as an architect or building surveyor. This is, undoubtedly, a sensible move, as any professional should know who is or is not competent to deal with your contract. However, builders are like most people and can ‘go off the boil’ or not always live up to their previous reputation. This may be because they have lost some members of their team or perhaps because they have become too busy to do their work properly. This can often be the case and an excellent builder can be so overwhelmed with work that he is not able to properly supervise or man a project. So, it is important to check the recent work of any builder that you are considering using, irrespective of recommendations. 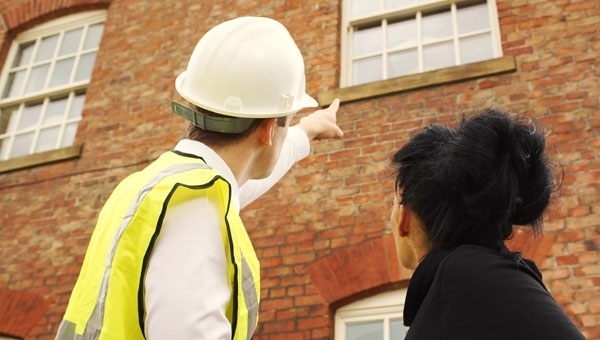 When you do this, make sure that you see more than one example of his work and always ensure that you meet the owners of the property concerned (preferably without the builder present!). Meanwhile, it is essential that you only use a builder who is properly registered and insured. Most people rarely check that this is the case and are all too ready to save money by paying cash. This can result in effectively removing all the protection inherent in a fully legal contract, backed up by a paper trail that can be used in court, should a dispute arise. Certainly, as I have written before, the best way to start (and run) a building project is on the basis that something will go wrong at some stage. It often does and you have to be prepared for the possibility of a dispute and therefore have clear evidence on your side that matters have not proceeded as agreed. You should also prepare to discuss and negotiate any issues that might concern you, ultimately your builder does want you to be happy, so do not be afraid to develop a pattern of regular site meets or e-mails, whereby concerns can be raised and addressed. In all fairness, builders often have a perfectly logical explanation or quick solution for something that may be bothering you. ALWAYS obtain at least three quotations for any work. These should be based upon the same instructions to each builder, otherwise any quotations received will be impossible to assess. Equally, do not be too keen to take just the cheapest quote, ‘come what may’! A quote that is considerably cheaper than others may quite simply mean that the builder concerned has incorrectly priced the work and will have financial problems long before the completion of your project. This will be as much of a problem for you as it will be for him and can lead to disastrous consequences.